Before we have a deeper look into each of the stations and each of the harbours of a circular trip with a Hurtigruten ship, we first want to give you some general information about the Hurtigruten-ships as also about the circular trip with such a mailboat. Each evening - summer and winter, year in, year out - a long trip of 4600 km starts for a Hurtigruten-ship in the coastal city Bergen to the northern tip of Europe; At the same time, another Hurtigrute is on the way to Kristiansund, that is a one-day-excursion distant from Bergen. A third one is then on the way to the Arctic Circle. A fourth ship is then channeling - by leaving the archipielago - its way through the narrow, majestic Raftsund. A fifth ship pitches its way in northen directin to the North Cape, a sixth one already circumnavigated the northern tip of Europe, navigates alongside the Finnmark coast and approaches - not far from the Russian border - the turning point of the journey, Kirkenes. Lined up like pearls on a string, the Hurtigruten ships follow each other alongside the Norwegian coast. At the same time, there is the respective fleet on the way to the south. In total, they are eleven ships with their crews that surround Norway at the seaside by this way. Even if today, after 110 years of Hurtigruten history, it is mainly the tourism that keeps the Hurtigruten alive, one should not put these ships on a level with luxury cruisers. 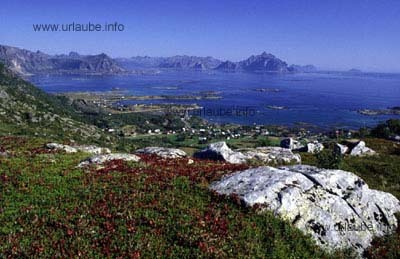 The ships of the Hurtigruten are a part of the daily life at the coast. Beside the task of making the stay of each passenger as pleasant as possible, each ship has also another job to do: they are also working ships for freight and passengers of the coastal region. But it is just this combination, together with the gorgeos coastal landscape, that makes this journey so unique. The way of the fast steamer is equal to a contemplative slalom through the fjords, sounds and skerries. Sometimes, the islands and rock faces get so close to the ship that one might occasionally think that he can spit a cherry pit to the land. But is the ship navigates far into one of the six open sea stretches, then the tranquility soon finds an end and one experiencews the struggle of the ship with the forces of nature of the northern sea. The navigation of the ship is interrupted by the docking maneuver in 35 habours. In some harbours, no ship stays more time as it is neccessary to load and unload the freight. In others, the ship stays at the dock for a period of time that is sufficient to hace a little walk ashore, in some cities, the ship even stays for several hours so that sightseeings are possible. On each trip, each harbour is frequented twice, once northwards, then southwards. One also doesn't need to miss anything at night, as all habours and landscapes that are on the way at night in northern direction can be seen at daytime in southern direction. It is unavoidable that the fresh air of this overwhelming nature makes one hungry. This is of course considered on board. 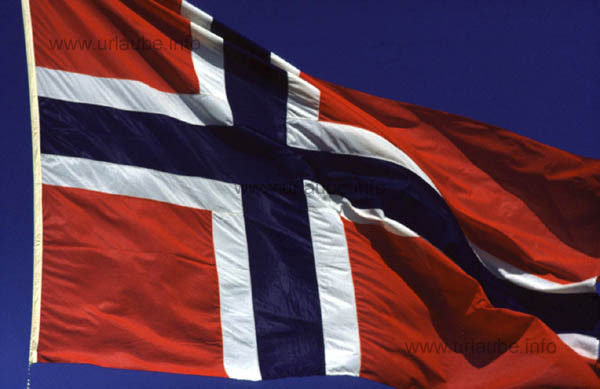 One can look forward to maritime treats and many specialities of the traditional Norwegian food. In the mornings and on middays, a splendid buffet is offered. The principal meal of the evening consists on a three-course menue and is served at the table. But one can confidently leave festively dresses at home and take a windcheater and a jumper instead, as one should not miss a single opportunity to experience the landscape "live". Such a Hurtigruten ship is a wonderful means of transport. The travellers get fully captivated to it. It is a residence that moves; With a cruising speed of 15 bends, the impressions and experiences slowly convert to souvenir pictures. The details of this magical trip, the sea smell and the light of the landscape, the encounters with other people and the diurnal rhythm on board, of the machine and the pounding of the waves - all this becomes a captive possession.